If you believe you’ve never been emotionally affected by a movie makeover, you are lying to yourself and to us, and it’s time to come clean. True, embracing your own style always trumps the alternative, but when certain movie characters emerge from their before cocoons to debut looks we still talk about, it’s the stuff of cinematic dreams. So without further adieu, here are our favourite makeovers throughout movie history. Where were you the last time you heard Vogue and didn’t associate it with the montage of Anne Hathaway walking to work wearing various pieces of clothing most of us can’t afford? From the bangs to those thigh-high boots, Andie’s transformation was one for the record books “ provided she kept at least a few of pieces of designer wear after she abandoned Runway. Well let’s just get this out of the way right now: Henry Higgins was an awful human until the last few minutes of the movie. But his terribleness aside, when Audrey Hepburn went from Cockney flower girl to rumoured Hungarian royalty, she set the bar for makeovers everywhere. (Provided all other makeovers do not involve a pompous professor who mistreats everyone around him. 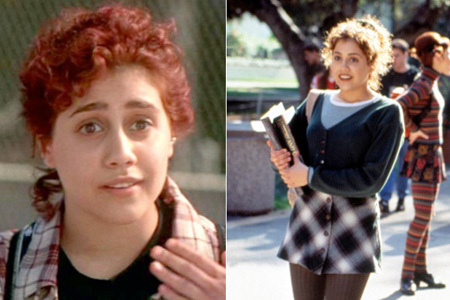 Arguably, Tai still ruled upon her arrival at Bronson High, but the transformation from a flannel wearing 16-year-old to bona fide Betty inspired us all to adopt plaid, knee socks and anything else sanctioned by Cher Horowitz. Rolling with the homies indeed. Yes, we’re giving ourselves permission to feature two Audrey Hepburn makeovers because COME ON, she’s rightfully earned a place in our hearts and in our minds. (Also, the 1995 remake of Sabrina wasn’t nearly as good, and still feels like the grown-up version of a film some of us associated with being teens.) So let’s never forget Sabrina’s transition from tree climbing wee-one to refined, fancy lady “ there’s a reason she held her own with both Humphrey Bogart AND William Holden, and gave herself a self esteem boost in the process. Okay, hear us out. Minus Richard Geere’s character arguably being one of the creepiest men in pop culture legacy (come on, guys: he treated Vivien terribly until the very end of the film “ and yes, he beat up George Costanza, but what else was he supposed to do? ), Julia Robert’s exchange of nylon for hats and polka dots is to be commended. Just don’t get us into the specifics of Pretty Woman because some of us still can’t believe anybody finds Richard Geere’s character heroic or nice. YOU CAN DO BETTER, VIV.